You might need to pinch yourself. 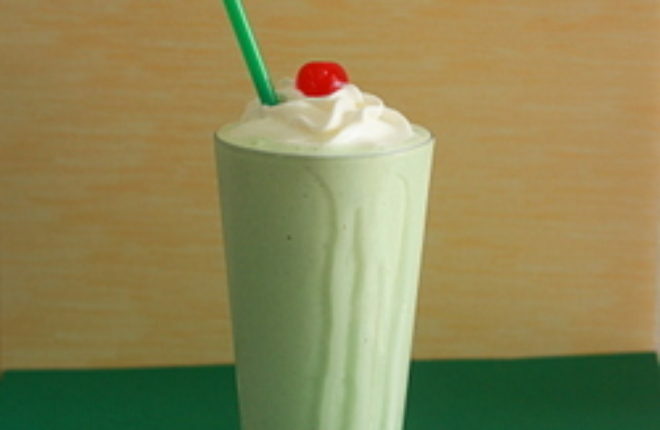 Flavors of cool mint, luscious vanilla, delicious Baileys Irish cream dance a jig in this thick, delicious, and unabashedly adult shamrock shake. With three different kinds of alcohol, it’s a strong one. Take it slow! Quick, shield your children’s eyes. This one’s for the adults only. Sinful in pretty much every way, this is the shamrock shake to end all shamrock shakes. 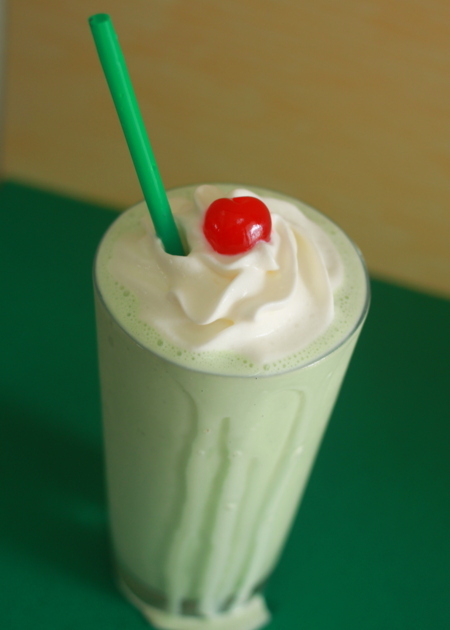 It’s an adult shamrock shake with not one, not two, but three kinds of booze. Plus copious amounts of vanilla ice cream. And whipping cream. And the cherry on top, is, well … a cherry on top. Once again my guy and I donned our dutiful recipe tester hats and tried a few variations of this naughty shake until we came up with the perfect concoction. The sacrifices we make, I tell ya. Flavors of cool mint, luscious vanilla, and delicious Baileys give this unabashedly adult shamrock shake oodles of Irish flair. Top o’ the happy hour to ya. 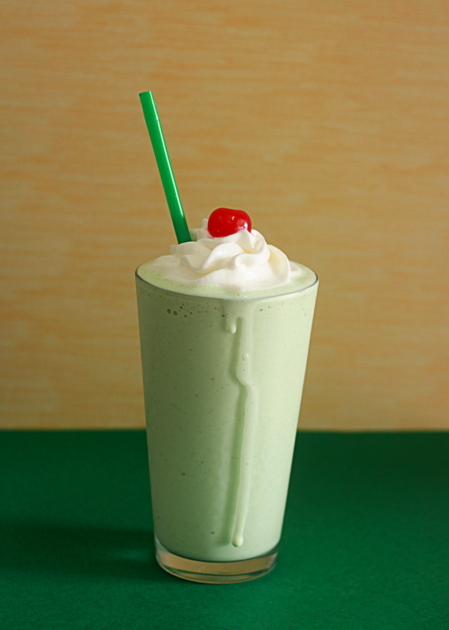 Add vanilla ice cream, creme de menthe, vodka, Irish cream liqueur, and vanilla extract to a blender and mix until completely blended. Divide between two tall glasses and top with whipped cream and a maraschino cherry. Serve with a straw. Use vegan ice cream (I recommend Luna & Larry’s Coconut Bliss in Vanilla Island for this one) and Bailey’s Almondmilk Liqueur. Top with coconut whipped cream. Yum! I’m totally 100% into this one. Mama needs a tasty green treat while the kiddo sips away on choco mint shamrock-like goodness. YUM! I’m totally 100% into this! Mama needs a tasty st pats treat while the kiddo is sipping on his choco mint shamrock-like drink. YUM! 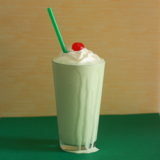 I could use a boozy shamrock shake right about now! This sounds awesome! LOVE THIS!!! Milkshake + alcohol = perfect. Oh yum this looks so good, I love a grown-up milkshake! I was online looking for coffee drinks and stumbled upon this beauty. I will definitely have to try this soon. (gives me an excuse to go buy booze and ice cream, what could be better?) 🙂 I also pinned and shared all of your yummy iced coffee drinks. I can’t wait to try those also. Thanks for all of these wonderful recipes!!! Hi Kim, I am happy to provide you with an excuse to buy booze and ice cream! 😀 Thank you for sharing – my pleasure!